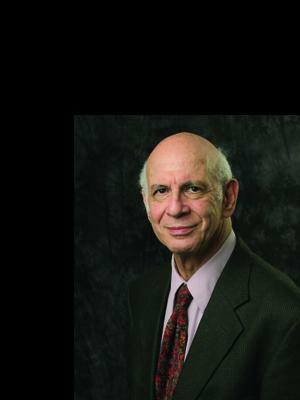 Bruno Nettl's main research interests are ethnomusicological theory and method, music of Native American cultures, and music of the Middle East, especially Iran. Professor Nettl has done field work with the Blackfoot people of Montana, and in Iran, Israel, and India, and he has an interest in the music history and folk music of his native Czech Republic. Professor Nettl has been focusing in recent years on the study of improvisatory music, the understanding of musical change throughout the world, and the intellectual history of ethnomusicology. He has published many articles and more than a dozen books, the best known being The Study of Ethnomusicology(1983), The Western Impact on World Music (1985), Blackfoot Musical Thought: Comparative Perspectives (1989), Heartland Excursions: Ethnomusicological Perspectives on Schools of Music (1995), and Encounters in Ethnomusicology (2002), a professional memoir. Certain of his books have been translated into French, Spanish, Japanese, Korean, Chinese, and Persian. Professor Nettl has received honorary doctorates from the University of Chicago, the University of Illinois, Carleton College, and Kenyon College. He is an honorary member of the American Musicological Society and a Fellow of the American Academy of Arts and Sciences. Professor Nettl has taught as visiting professor at Harvard, Northwestern, the universities of Chicago, Minnesota, Washington, and Texas, among others, and served as Benedict Distinguished Professor of Music at Carleton College. Most recently, he has published an edited collection (with coeditor Gabriel Solis), Musical Improvisation: Art, Education, and Society (2009), and is the author of Nettl's Elephant: On the History of Ethnomusicology (2010). He continues teaching part-time in the University of Illinois School of Music.